Chris Brammer of Springfield Chamber Chorus. 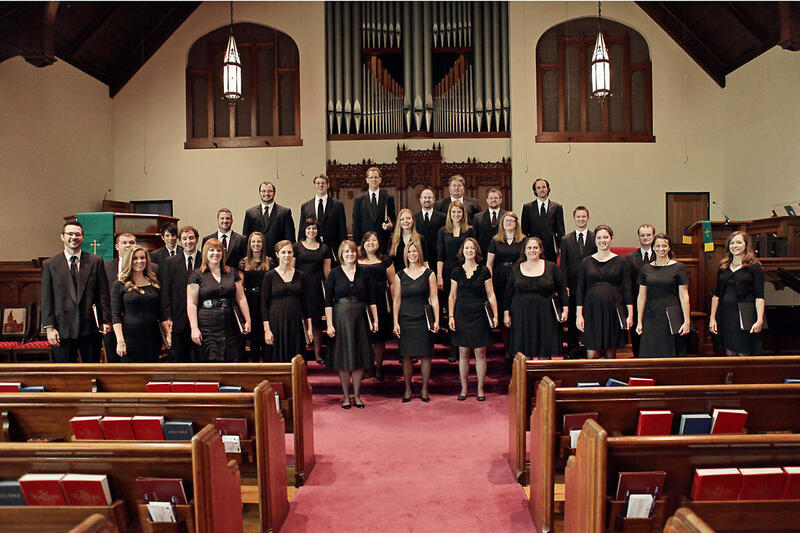 The Springfield Chamber Chorus presents two Christmas concerts this weekend. The Springfield Chamber Chorus, comprised of approximately 40 professional-caliber singers who “come together once a week” for rehearsals, “to make the highest level of choral music we possibly can,” according to conductor Christopher Brammer. The group presents a cappella performances of both sacred and secular literature. They'll perform two "Welcome All Wonders" Christmas concerts this winter season: Saturday, December 15th, 7 pm at St. Joseph's Catholic Church, 1115 N Campbell Avenue, free admission; and Sunday, December 16th, 3 pm at University Heights Baptist Church, 1010 S National Avenue. Both concerts will feature various pieces from the 16th to the 21st centuries celebrating the holiday season. The Sunday concert at University Heights church will feature as guests the Ozark Middle School 7th Grade Women's Ensemble. The SCC has done two slightly different Christmas concerts, Saturday night and Sunday afternoon, for the past few seasons, with the thought that at least some of their patrons will want to attend both. According to Brammer, the “Welcome All Wonders idea comes, at least from my brain, with the thought that, this time of season, no matter your religious background, no matter your upbringing, the December season—whether it’s the moonlight off the fresh snow or the Christmas lights on the houses or the candlelight that seems to be everywhere you go—it’s a season of wonderment. And so as we sing this concert on Saturday night, that is kind of where our mindset was.” Of course, the work opening the second half of that concert is “Welcome All Wonders” by contemporary composer David Bednall. Tickets are $10 general admission, $5 students, available at the door, from the Chorus's Store page (http://www.springfieldchamberchorus.org/store.html), or by calling University Heights Baptist Church at 862-0789.